Canon Inc. announced today that it has developed an APS-H-size (approx. 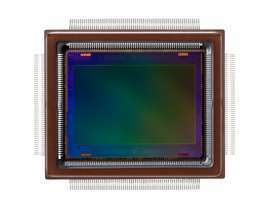 29.2 x 20.2 mm) CMOS sensor incorporating approximately 250 million pixels (19,580 x 12,600 pixels), the world's highest number of pixels for a CMOS sensor smaller than the size of a 35 mm full-frame sensor. When installed in a camera, the newly developed sensor was able to capture images enabling the distinguishing of lettering on the side of an airplane flying at a distance of approximately 18 km from the shooting location. 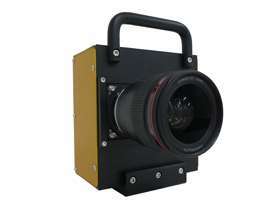 The Canon-developed 250-megapixel CMOS sensor.